A fountain of youth has been the dream of humanity throughout history. Recent scientific advances are bringing that dream closer to reality. The longevity field started as a relatively backward branch of science and has exploded in the last few decades. The field is beginning to bear fruit, and some of the discoveries – such as senolytics and NAD-boosting compounds – are being tested in humans. For the first time in history, scientists can control the rate of aging in lab animals. For example, longevity researchers known as geroscientists have identified a multitude of genes and pathways that control the rate of aging in organisms. The discovery of these longevity genes brought aging biology research into the mainstream and resulted in the emergence of the geroscience field. These findings led to researchers uncovering the molecular drivers of the aging process. In another example, geroscientists know that in many laboratory animals, substantially reducing calorie intake extends their lifespan and improves their health in old age. However, very few people have the willpower to subject themselves to the harshness of that regimen. The anti-aging industry has suffered a dubious reputation in the past. However, recent scientific advancements have caused the industry to blossom, aided by the cache of respected names such as Google, with their anti-aging startup, Calico Labs. These companies face many challenges, including relying on findings from short-lived animals and hurdles in conducting clinical trials for anti-aging drugs. The chronic diseases of aging are the leading causes of death and source of healthcare costs. Treatments that reduce the rate of aging would produce enormous financial and medical benefits. Analysts forecast the number of older people in the world to increase significantly, and this will create a crisis in the healthcare and retirement systems. The most dramatic rise will come in those 85 years of age and older. Our economy and healthcare systems will be strained to the limits trying to handle this unprecedented increase in older adults. Age-related diseases like cardiovascular diseases, cancer, and dementia are the leading causes of death and disability worldwide. Anti-aging therapies delay the onset of multiple diseases by attacking the core biological processes that cause aging. Because the underlying processes of the aging process cause age-related diseases, a drug that slows down the rate of aging will pay enormous rewards, not only in extending lives and reducing illness and suffering but in saving money as well. Centenarians – those who live over a hundred years of age. Not only that, but they become afflicted with the chronic diseases of aging very late in life, a phenomenon known as compression of morbidity. Compressing the chronic diseases of aging into a shorter period saves healthcare costs and suffering by shortening the proportion of an individual’s life spent with a chronic illness. 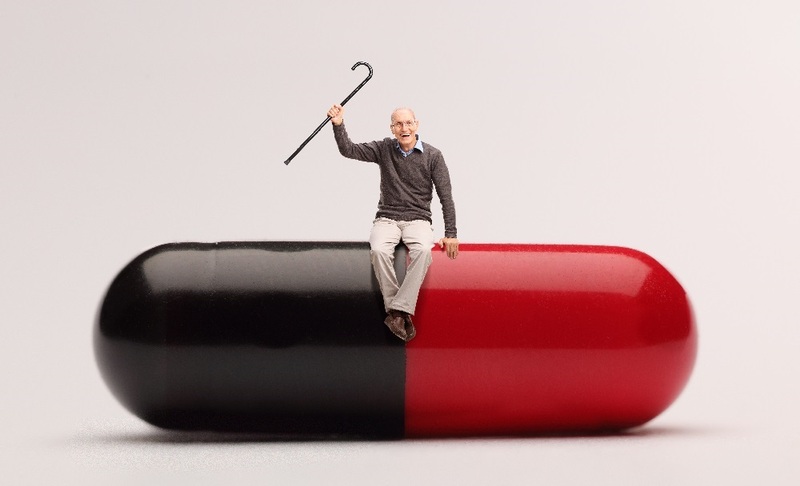 Longevity researchers are hoping to develop compounds that enable ordinary people to live like the centenarians, enjoying a lifespan followed by a much shorter period of disease and disability. Given its vast potential financial benefits, anti-aging science has tremendous commercial potential. Yet, it suffers from lack of funding and a general reluctance of the regulatory agencies and the healthcare industry to treat aging as a disease. Despite the growing acceptance of anti-aging therapies, the vast majority of medical research efforts and funding are focused on single diseases such as Alzheimer’s and cancer. The tide is changing as shown by the FDA’s recent approval of the TAME trial, the first clinical trial of an anti-aging drug, using metformin. Moreover, mainstream scientists are starting to use anti-aging compounds in the treatment of single diseases, as shown by the researchers developing treatments for respiratory diseases using anti-aging senolytics. The field of anti-aging science shows tremendous promise but still has a long way to go in gaining acceptance and capital investment. Cover photo credit: Getty Images (iStock). (video) Why all blue whales don’t get cancer.